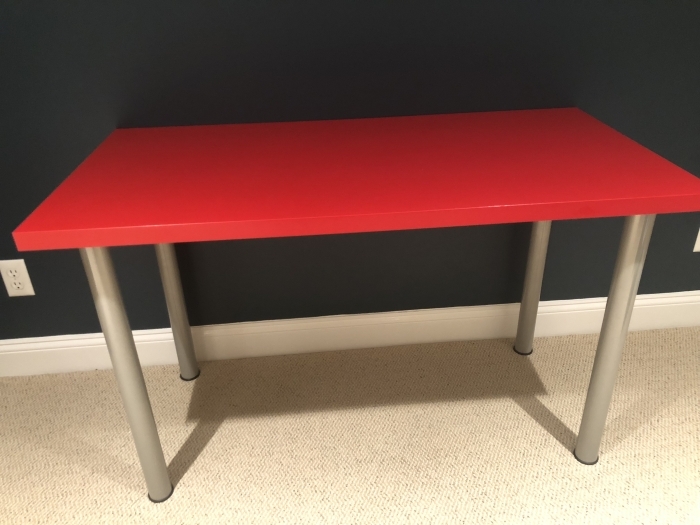 Ikea Red Multipurpose Table - 48* x 28"
Ikea - Vika Amon Table. Red table top with stainless steel legs that can be disassembled for transporting. Table top is made of particleboard with a plastic/acrylic veneer, very durable. Can be used as a desk or computer/printer table. Very Good condition. Size approximately 48" by 28"